This Deuter Futura 24 Review is about the new and modified version of the popular pack with a steel frame and a trampoline-style tensioned mesh back panel for the best ventilation. Deuter Futura 24 Backpack front view. Trampoline-style tensioned mesh back panel. This pack is available on Amazon. This holds for several of their stores on various continents and this is why they have the best shipping conditions. In EU, you can order it at Bol.com. If you are familiar with some other packs from these daypacks from the Futura series, you might be surprised when you see this new version of the Futura 24 pack. So for example, the Deuter Futura 28 SL is with a lid and bottom compartment, while the Deuter Futura 22 has a bottom compartment but not the lid. However, this new Futura 24 has neither the lid nor the bottom compartment, so this is a panel-loading type with a zipper. Note that all these packs are still around so you have them in many sizes and in two versions, the old and new, easy to get confused. The pack is hydration compatible and you can use a 3-liter reservoir in its internal sleeve. The reservoir can be ordered separately, they have the Deuter Streamer 3.0 that fits here. Rain cover: This small pack comes with the bonus rain cover shown in the picture below, stored in its dedicated zippered pocket completely on the bottom. Note that it is removable, there is a toggle which allows you to remove it, so you can use the pocket for other purposes if you wish so. Even if this is about such small packs, the suspension is the most important element. So here you have a round spring steel inverted U-shaped frame, very durable and flexible. It transfers the load to the hip belt and also gives tension to the trampoline style mesh. This tensioned mesh was invented by Deuter several decades ago and introduced in this same Futura series. I have been using these packs in the past 20 years or so. This mesh is now modified as compared with the previous Futura packs. In 2018 they have introduced some changes in all Futura packs, see the picture below. So now you have a combination of a very breathable foam on the sides and the mesh in the main part of the back panel. This is what they call the Aircomfort Sensic System. The trampoline-style back panel and the suspension system. You also have some mobility in the shoulder straps and this they call the Active-Fit shoulder straps attachment, it allows for some self-acting adjustment to width and angle of the shoulders of the users. 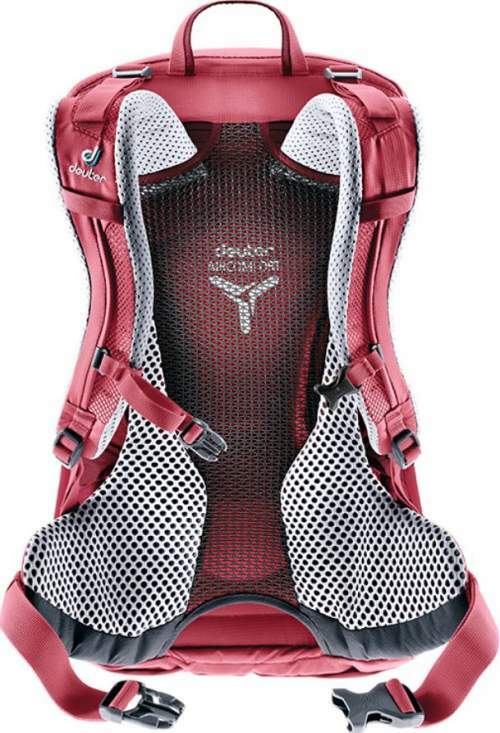 The straps are ergonomic and S-shaped to follow the shoulders and neck contours and to avoid chafing or rubbing. This is all built with a perforated foam for optimal ventilation and covered with a very breathable mesh. Observe also the ventilating channel between the two massive lumbar pads, here you have a three-dimensional modeling that follows the shape of the hips. The hip belt fins are quite short now, but the padding is excellent, so I do not see any issue with this for such a small pack. The main compartment is with the mentioned sleeve for a reservoir. The pack comes with two mesh stretch pockets on the sides and one large front stretch pocket where you can keep the stuff needed on the go. One large zippered pocket is on the front, and inside of it you still have another zippered pocket plus a mesh pocket. So this is quite enough to keep you organized. The hip belt is wit a pull-forward construction, easy to fasten and tighten. Easy to use pull loops on zippers. There are loops for hiking poles and they are paired with bungee tie-offs. Side compression straps are available, two on each side. So here you can also attach some elongated items which you can store in those side pockets. The chest strap is height and width adjustable. SOS label is available just as in all other Deuter packs. It is printed inside of the pack. The materials are very durable. They use a combination of 210D nylon and 600D polyester. You might want to know that it was Deuter who first started building backpacks with nylon in 1968. 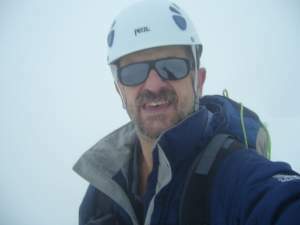 It is disappointing to see that even on Deuter’s site they show pictures with and without hip belts. As I said previously, this might be partly because of so many sizes and versions of the same pack. Weight: 2.6 lb (1180 g). Volume: 1464 in³ (24 l). Dimensions (H x W x D): 20.5 x 10.2 x 7.1 in (52 x 26 x 18 cm). Torso fit: 15 – 19 in (38 – 46 cm). Built in Vietnam, Deuter has a production line there for more than 20 years already. Please see how this Futura 24 daypack stands when compared with some other daypacks from top brands. I show two of them, the Gregory Citro 25 and CamelBak Franconia 24. Both of them come with a reservoir included but without a rain cover. Please follow the links to check for the current prices. In the summary of this Deuter Futura 24 Review, I wish to stress that this pack is perfect for day hiking, travel, and for commuters. It has enough features for any of these activities. This is again a very reliable Deuter product. After using their packs for two decades already, I can say they are built to last. If you need more options to choose in this size range, please visit my page with packs below 35 liters. Only top brands’ models are there and they are described in detail. 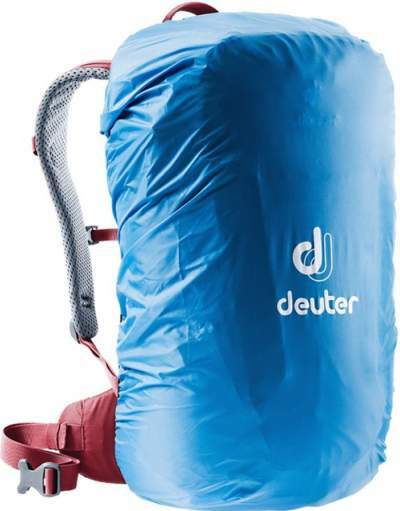 You might want to check this Deuter Futura 30 pack which is with a classic top lid. Note that this is not a sponsored post and I am not paid by the manufacturer. Please use the comment box below in the case of questions or comments. Have a nice day.